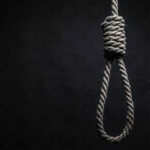 Human Rights Activists News Agency (HRANA) – On the morning of October 14th, Saleh Dehkordi, 38, and Yarali Noori, 40, were executed in Shahr-e Kord Prison. In the eleventh hour, Davoud Shokri, 26, was pardoned by family members of the plaintiff on his case. All three were transferred to solitary confinement on October 13th, the protocol for prisoners whose execution is imminent. Dehkordi, who had reportedly been detained in Shahr-e-Kord since 2011, was slated for execution in 2014 but returned to prison when his victim’s family members agreed to absolve him. He was among Shahr-e Kord prisoners injured in a 2014 fire. Shahr-e Kord is the capital of Chaharmahal and Bakhtiari Province. 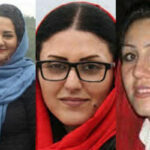 Human Rights Activist News Agency (HRANA) – From the walls of Evin Prison’s Women’s Ward, political prisoners Maryam Akbari Monfared, Golrokh Irayee, and Atena Daemi wrote a letter dated October 10th — the World Day Against the Death Penalty — urging the United Nations Special Rapporteur Javaid Rehman to come and witness Iranian human rights violations in person. 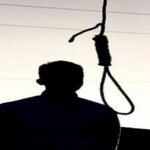 In observance of the same occasion, Human Rights Activists in Iran (HRAI) recently published its annual report on the death penalty, pending, and carried out since October 2017. According to this report, 256 executions were carried out in Iran between October 10, 2017, and October 9, 2018, a 50% decrease from last year due likely to newly-ratified laws precluding death-sentence rulings on drug-related cases. Due process is glaringly absent from the judicial processes leading up to executions in Iran. As the World Day Against the Death Penalty approaches, we decided to report to you a summary of the countless instances of human rights violations that took place over the last decade in our country. News agencies announced the elimination of the death penalty for drug-related offenses some time ago, yet killings on such accounts are still happening outside of the media spotlight. Drug dealing and homicide remain the judicial justification for a majority of the executions in Iran. Current statistics — which you most certainly have seen — indicate that defendants, men & women alike, are sentenced to death every year on homicide and manslaughter charges, and lose their lives very soon after their convictions are delivered. Alongside prisoners convicted on criminal charges, many prisoners of conscience and political prisoners have been executed by firing squad or in the gallows over the last four decades. According to available documentation, these executions were at their peak in the first decade of the Islamic Republic (1978-1988). People were often executed without trial, their bodies piled in unmarked mass graves on the fringe of the city. (Meanwhile, those who oppose capital punishment have no license to speak, and are currently behind bars because of their dissent). As the World Day Against the Death Penalty drew near, authorities carried out the execution sentence of Zaynab Sakavand, a 24-year-old woman who had spent many years in prison since being convicted as a minor. This was but one example among the thousands carried out over the past few years on charges of smuggling, theft, killing, […]. 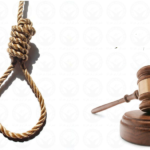 As long as the death sentence can be meted, its pool of victims will be populated by alleged offenders of this type, many of whom are victims of poverty and socioeconomic class struggle, or political and ideological activists who are victims of a corrupt system whose policies are rigged against them. 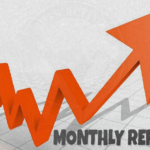 The current administration began selling in 2013 the well-known figurative promise to provide keys to unlock problems and free prisoners of politics and conscience. Yet executions [on these grounds] have pressed on. Sherko Moarefi, Ehsan Fattahian, and Gholamreza Khosravi were all executed shortly after the administration undertook its [“key”] project. The summer of 2016 conjured memories of the 1980s. Prisoners of conscience (Sunni Kurds) were executed en masse, leading to the overnight evacuation of a Rajai Shahr Prison hall. 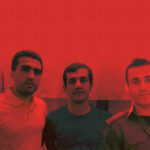 Exactly one month before the World Day Against the Death Penalty, Ramin Hossein Panahi, Zanyar Moradi, and Loghman Moradi were executed without the slightest shred of evidence to support their conviction. Their bodies, like the bodies of Farzad Kamangar (the hanged teacher), were buried in an unknown location. They suffered the same fate as Roghiyeh Akbari Monfared, Mojtaba Mohseni, Mehrzad Pakzad, Abdolreza Akbari Monfared, the Behkish Family, and thousands of others who lost their lives in the mass executions of the 1980’s, many of whose names have been documented by the Committee for Enforced Disappearance of the United Nations. Over the past few years, many Kurdish and Arab activists, as well as a number of ideological activists, have been arrested for subscribing to beliefs that countered those of the ruling body. They were accused of baseless crimes, and — with the ultimate intention of creating fear and repressing public unrest — were tortured, forced to implicate themselves by false confession, and hanged. Mohammad Salas was the most recent of these victims. The Islamic Republic’s apology for the death sentence is its [supposed] role in preventing criminal recidivism and in setting an example for others. While experience has proven that execution is not and never will be an effective preventative measure, the Islamic Republic continues to argue for its necessity and consonance with Sharia law. This fact alone demonstrates their abuse of the religious spirit of Iranian society, with the intention of oppressing and deceiving the public mind. If Iranian authorities can actually produce reliable documentation in support of their position on these cases, which are only a few among countless cases like them in Iran, they should certainly welcome you in Tehran. We the undersigned, political activists held at the Women’s Ward of Evin Prison, on this World Day Against the Death Penalty, express our abhorrence of the executions that have already taken place in Iran, and request that you — Special Rapporteur on the Situation of Human Rights in Iran, Mr. Javaid Rehman — travel to Iran to investigate violations of human rights, and advocate for a wholesale abolition of the death sentence, regardless of the crimes it aims to punish, be they political, ideological, or criminal. Your arrival in Iran and plea for accountability from authorities will clarify many ambiguities. The Islamic Republic’s refusal to welcome you would demonstrate their determination to eliminate human beings in their death machine and would confirm the criminal scope of their actions. While we harbor no delusions that things will improve, since we view the current administration as beyond reform, we nevertheless wish for an immediate halt on capital-punishment verdicts, and for a change to Iran’s oppressive penal law. About the authors: Maryam Akbari Monfared was detained on December 31, 2009 following a widespread Ashura demonstration during the holy month of Muharram. In June 2010, Judge Salavati sentenced her to 15 years’ imprisonment in Branch 15 of Tehran Revolutionary Court. She was convicted of enmity against god, gathering and colluding against national security, and propagating against the regime through working with the Mujahedin-e Khalq (MEK). She has denied these charges. Golrokh Ebrahimi Irayee was arrested along with her husband on September 6, 2014. She was first held at an IRGC safe house for two days and then spent 20 days in the solitary cells of Evin’s Section 2A, which is under IRGC jurisdiction. She was released on a bail of 800 million rials. On October 24, 2016, the IRGC arrested Irayee again, without a warrant. Her husband Arash Sadeghi, who was sentenced to 19 years in prison, is currently in Karaj’s Rajai Shahr prison, and has undergone operations for cancer. Irayee was sentenced to six years in prison, which was reduced to 2.5 years based on amnesty and Article 134 of Islamic Penal Code. She was convicted of insulting the sacred and gathering and collusion against the regime. Atena Daemi was detained October 21, 2014, and was transferred to Evin’s Women’s Ward January 14, 2015 after spending 86 days in a solitary cell of Ward 2-A. On May 15, 2015, she was sentenced by Judge Moghiseh of Revolutionary Court Branch 28 to 14 years’ imprisonment on charges of assembly and collusion against national security, propaganda against the regime, and Insulting the supreme leader. On February 15, 2016, she was released on a bail of 5500 million rials. Her appeals court convened in July of 2016, and reduced her sentence to seven years. She learned of the appeals decision two months later. After being arrested again in her parents home on November 26, 2016, her sentence was reduced to five years, pursuant to article 134 of Islamic Penal Code. Earlier this month, HRANA reported on verbal orders from an Evin Warden that barred these women from having visitors for three weeks.